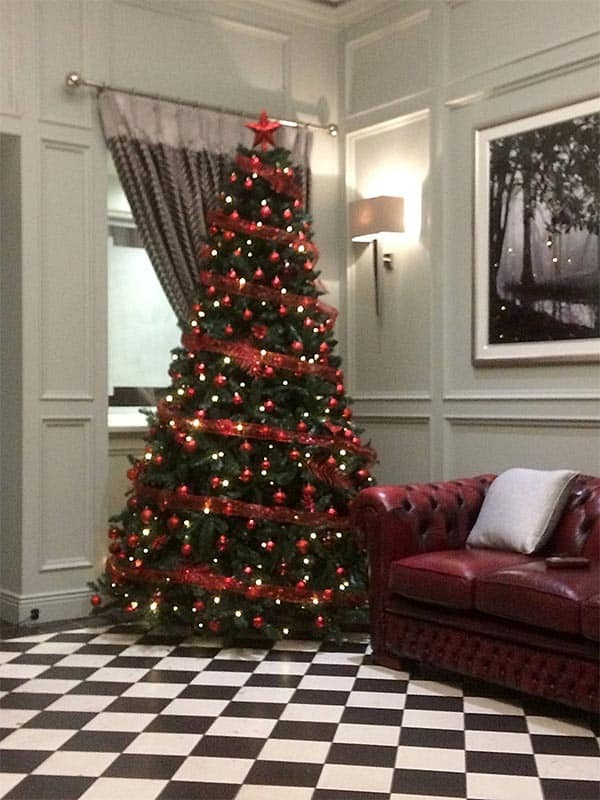 The beautiful Christmas Tree and Garland above are an example of the decorations we supplied to local Hotels, restaurants and bars. Beautifully dressed with lights and decorations by our own Bernie Somers. 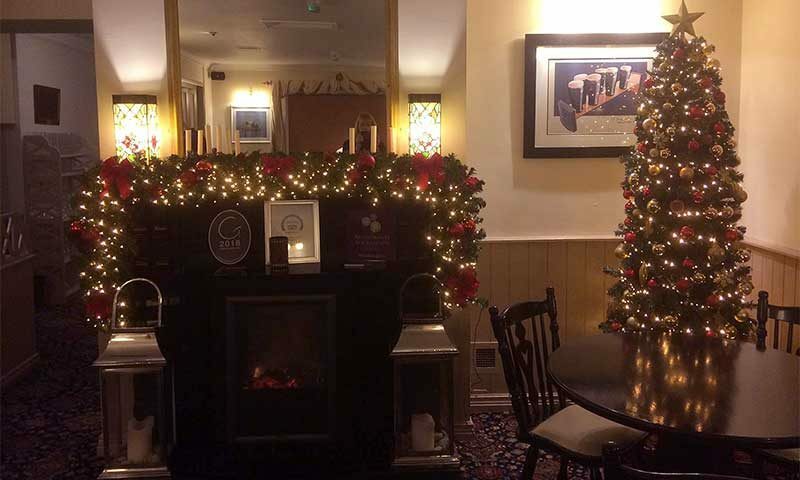 The photo above is taken in the Oyster Taver, Spa, showing a slim Christmas Tree and matching Garland around the fireplace in the dining room. The photo above is taken in the reception area of the Ballyroe Heights Hotel, Tralee. It’s an 8 feet deluxe Christmas Tree decorated and lit to enhance the decor of the area. Our trees, lights and garlands are also in the bar and ballroom, again beautifully decorated by Bernie Somers. If you’d like advice or assistance decorating a commercial premises, please call in to Focus and have a chat with Bernie.